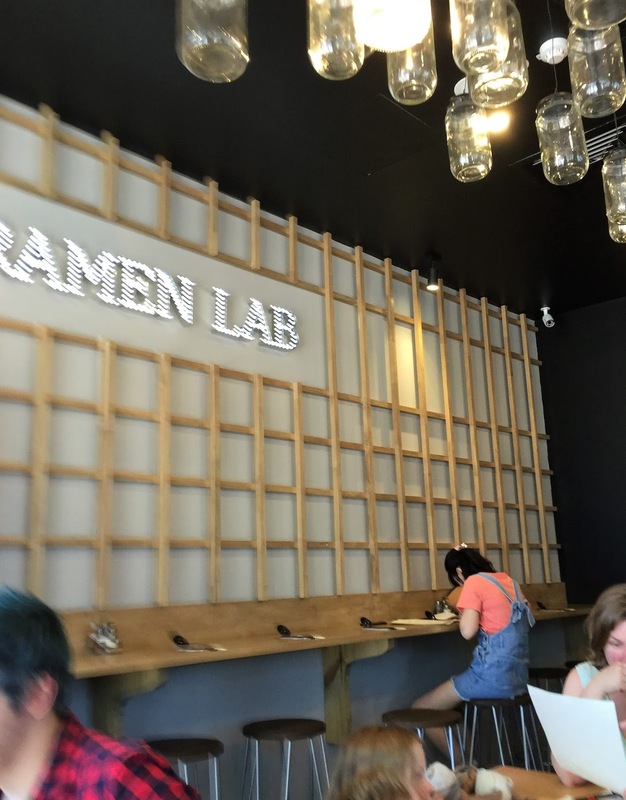 The Frenchman's Food & Wine Blog: Ramen Lab, Mount Lawley - best ramen in Perth? 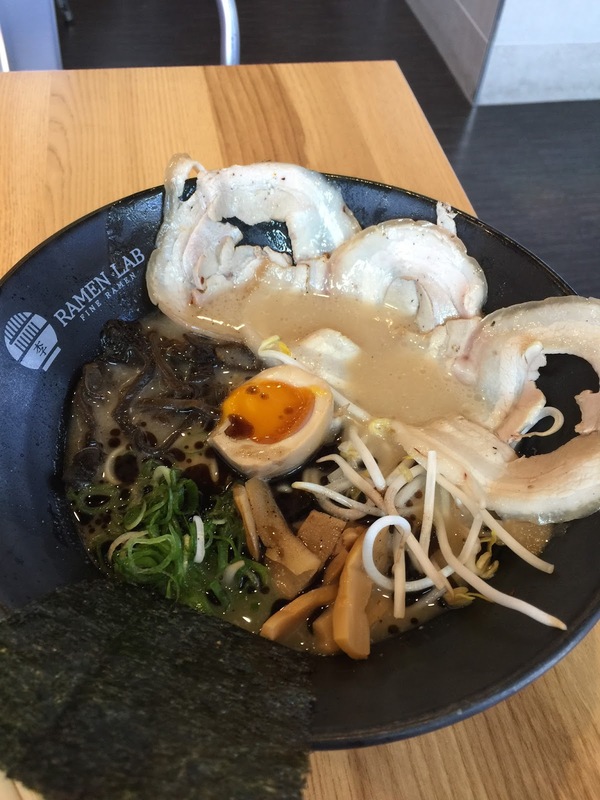 I heard about Ramen Lab from a good mate of mine, to whom iconic Perth chef Neal Jackson declared that Ramen Lab was the place to go for good ramen with technical excellence. With that kind of recommendation, how could I resist? 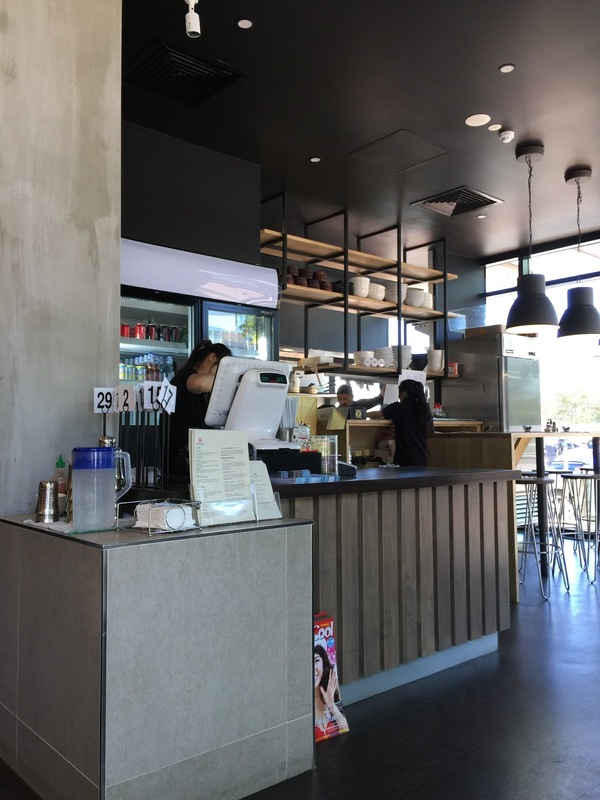 Located at 602 Beaufort Street, Mount Lawley (south of Walcott Street and north of Vincent Street), the decor at this small restaurant is a blend of modern glitz and traditional Japanese accoutrements; and the patrons an eclectic assortment of families, couples and single diners. 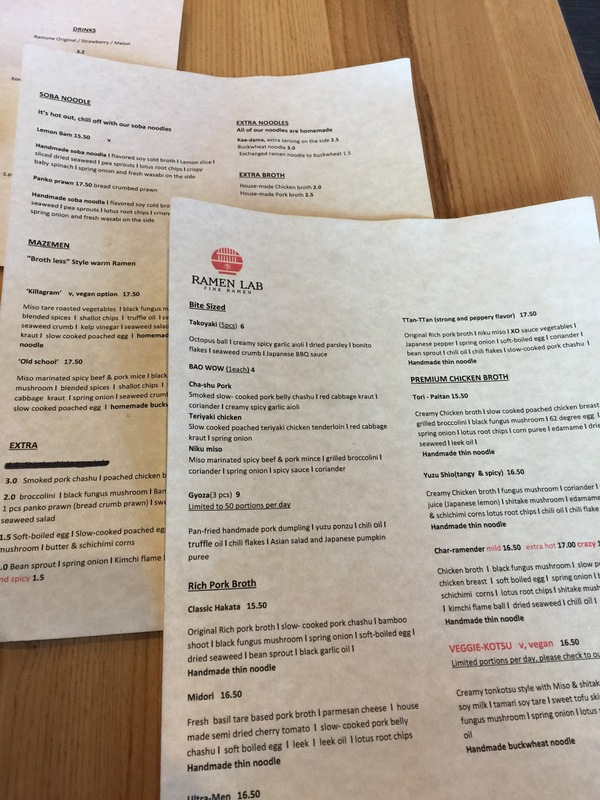 I ordered the gyoza (which I suspect is made daily fresh on-premise because it's limited to 50 serves per day) and the "Classic Hakata" ramen bowl. 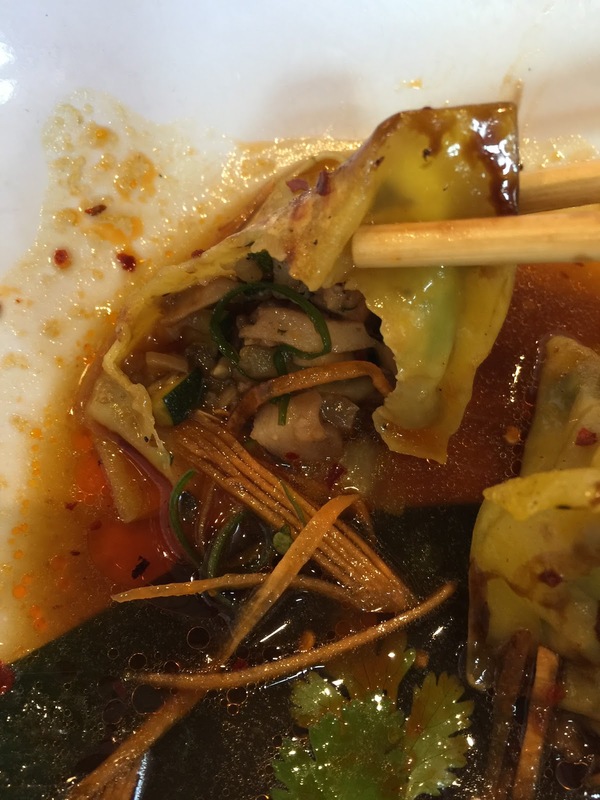 The gyoza is served like nothing you've experienced before. 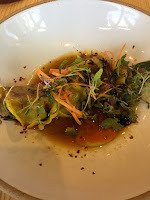 Three delectable morsels arrive in a shallow bowl sitting in a pool of dipping sauce and garnished with herbs and micro greens; the filling is very clearly made from hand-chopped pieces of pork and mushroom - no food processed minced fillings here! 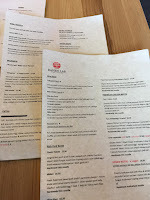 Delicious umami flavours abound. 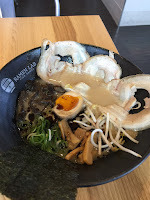 The ramen (I order their "classic" Hakata version) itself comes beautifully presented, with the "chashu" (pork belly sliced razor-thin, yet so tender and soft that it falls apart if you pull a piece away from the whole with your chopsticks) presented in a neat row accompanied by half a soft-boiled soy marinated egg. All the ingredients, such as black fungus mushroom, seaweed and bamboo shoots, are presented in separate sections, so that you have to mix it all up yourself: part of the ritual of the meal. The broth is thick, rich, opaque and delicious. 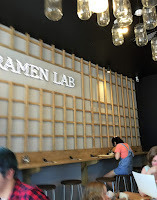 The true joy, though, is the hand-made ramen, which to my pleasant surprise was perfectly al dente, which introduces even more textural complexity to an already texturally rich dish. No soggy noodles here. All for $15.50 a bowl! 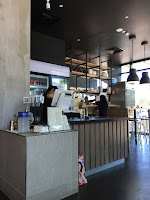 I do enjoy a good bowl of ramen, and am happy to declare that this could well be the best bowl of ramen you will find in Perth! This food seems to be quite weird but I would somehow like to taste this 'Classical Hakata'. Thank you so much for sharing this post with us.